CHARLOTTE, N.C. - Two Duke Energy businesses were among the Top 10 utilities in the nation in 2013 for adopting new solar energy, according to rankings released today by the Solar Electric Power Association (SEPA). Duke Energy Progress ranked fifth and Duke Energy Carolinas 10th among utilities in the solar rankings. Together, the utilities serve about 4 million customers in North Carolina and South Carolina. The full list can be found here: www.sepatop10.org. 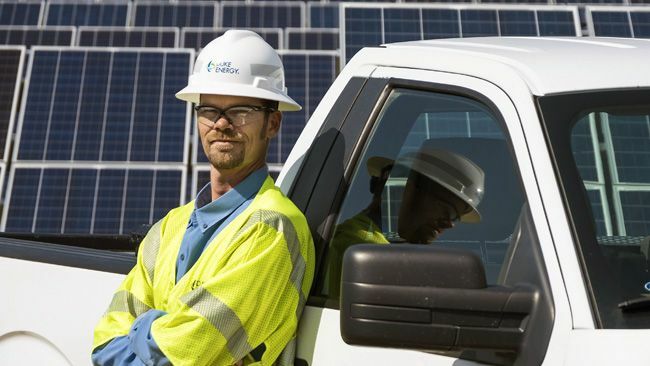 "These rankings reflect how Duke Energy is bringing cost-effective solar to our customers," said Rob Caldwell, vice president, Renewable Energy Development. "We remain hard at work securing additional solar energy that will make our generation fleet cleaner and support energy policy."
In 2013, the two Duke Energy companies brought on about 200 megawatts (MW) of new solar capacity  mainly by purchasing from regional solar developers. Duke Energy is looking to add another 300 MW of solar power by the end of 2015. Outside of the two utilities, Duke Energy Renewables owns and operates 145 MW of solar in eight states around the nation. "Our focus is cost-effective utility-scale solar that will have the greatest impact on our generation portfolio," added Caldwell. "We're proud our efforts have led North Carolina to be one of the Top 5 states for solar energy."
Utilities ranked in this year's SEPA Top 10 accounted for 82 percent of all solar capacity in 2013. The rankings measured a utility's newly installed solar power, including photovoltaic and concentrating solar power technologies that were interconnected between Jan. 1 and Dec. 31, 2013.